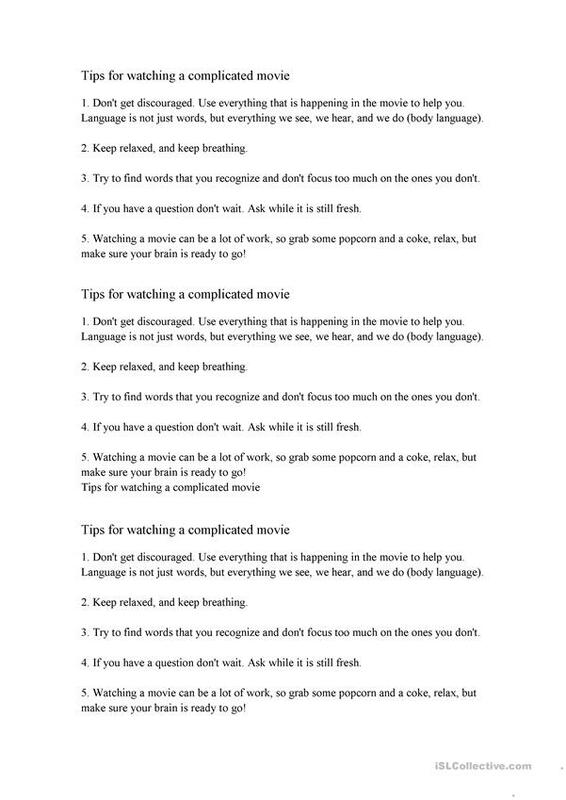 Some tips to help adult students watch a movie a little above their level. This helps them relax and focus on general understanding and not specific words. I page has 3 copies of the tips to save paper. The present downloadable printable is a great resource for business/professional students and adults at Pre-intermediate (A2) level. It can be used for developing your pupils' Listening skills. I teach adult students who are mostly lawyers and Judges. I teach starter up to advanced classes.